Unpredictable modern acid house injected with a collage of electronic styles, lush melodies, and complex beats that defy you not to dance. 27 year old Japanese electronic music maker Missqulater admittedly doesn't speak or write in English very well, but when he speaks to us through the universal language of music, his message is loud and clear. He exercises modern braindance composition techniques and sounds while honoring the classic acid house rave dance movement with an unmistakable throwback flair. 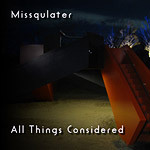 Having listened to a lot of acid house and breakbeat in the late '90s and early 2000s, I can't help appreciate these stylistic homages that may be lost on newer / younger electronic fans, but there is definitely something for everyone in Missqulater's music. When you sample the first track on his 2008 EP release "Landschaft", you will hear it begin with an Aphex Twin inspired orchestral pattern, but it is quickly layered upon with a quick beat, a lovely melodic synth lead and other rhythms that give it Missqulater's own unique flavor. Throughout his 3 proper releases you'll find beautiful melodies intertwining with complex breakbeats, acid basslines, and funky interludes that often have me asking, "How did he come up with that?" Vocals are scarce, but always sampled or vocoded and add a modest dose of funkiness, which comes as a relief to those who appreciate instrumental tracks. As you listen to each of Missqulater's releases in chronological order, you can hear his sound palette and style become more varied. His All Things Considered LP encapsulates such an explosion of ideas and wide assortment of styles but still maintains a signature sound. The track Primal Zuper Acid is classic 4:30am rave while "Stop Smoking Peace Light" features soothing pads and sometimes dissonant chords overlapping eachother backed by an acoustic drum kit playing freeform jazz, yet somehow it all still fits within the context of this IDM album. His latest output is an E.P. titled "Transaction Acid" released earlier this year and is probably his most complex yet most ravey so far. It opens with a fast tempo'd, optimistic acid jammer overlayed with distant angelic choral pads and busy rhythm synth and continues to evolve into some pretty nostalgic, party-tastic dance tunage. 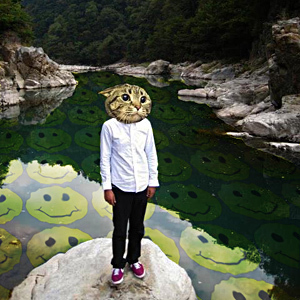 I wanted to know a little more about the man behind the cat face and where he gets his inspiration so I sent out a couple of questions like a message in a bottle across the Pacific Ocean and was happy to discover it had floated back with answers from Missqulater himself. Bc: Who has been your biggest inspiration to make music? Missqulater: My best hero was Michael Jackson in my childhood and now is Luke Vibert. Luke is my fav and my best teacher. Bc: What has been your favorite live performance so far? Missqulater: Mogwai. I was Teen and shocked, The Loud Noize and Silence Melanchoric was so sweet! Electronic Side, Squarepusher and Mouse On Mars, Juan Atkins are Farburous. Bc: What is your favorite style to compose? 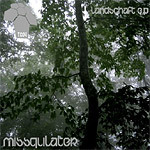 Missqulater: Based On ACID House, Breakbeat, Electronica, IDM. Twist many Knobs Of Synths, and Chopped The Breakbeats On Computer. Bc: Who are your favorite "up and coming" artists right now? Bc: When will your next release be? And will it be an E.P. or L.P.? Bc: What did you have for breakfast today? Missqulater: Haha, I didn't. Nothing 'cos I am Hangover now (Thankful for holydays). Just Drink Fresh Orange juice and Listen to "Polynomial-C" by Aphex Twin. Hook up with Missqulater online at the links below and stay tuned for a review of his next album.